Kaksi kylpyhuoneet. Pyyhkeet, kylpy saippua, shampoo ja hoitoaine ovat mukana. Sisäänkirjautuminen on jäljessä viisitoista yritystä Check out on ennen 11am Firm Soita numeroon # 209-375-6554 Diane Martin 1 viikko ennen saapumistasi tarkista yksityiskohdat ja koodi lukkokoteloon Osoite: 2587 Chilnualna Lane Wawona Kalifornia 95389 Olohuoneessa on kuningatar ja vuodesohva. Our accommodations were great. The best part was the cleanliness of the property....no odors and everything was spotless. We were going to Yosemite Valley and the drive in was about 45 minutes but the sights were spectacular. There is a little store close by and good hiking to the river. The agent was great--she answered the phone day and night and solved problems. It is a short hike to get to the trash bins. The microwave was broken, and the washing machine as well. Lovely well maintained fully equipped cabin. We had a lovely stay. 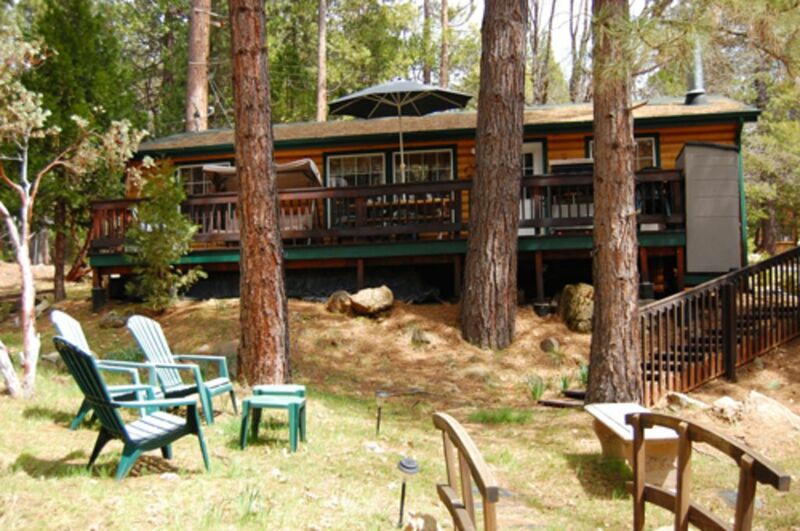 The owner was very helpful and the cabin was beautifully and lovingly decorated and maintained. Wonderful stay in this beautiful cabin. Comfortable and had all the amenities of home. Highly recommend it! Overall, this was a nice cabin with ample room for two couples to share, if needed. For my taste, it was over decorated but has everything needed to prepare meals. Close to Mariposa Grove and Big Trees Lodge. Ideally, you can probably see most of that area in a 2 or 3 day stay and it’s far from the Yosemite Valley. Tutustu joitakin maailman upeimmista maisemista. Jokainen kausi tuo elämään kauneus, ihme ja seesteisyys Yosemite. Vuodesta Wawona, on helppo päivämatkoja Bass Lake ja kaikki luonnonkaunis ihmeitä Yosemite - Tuolomne Meadows, Mariposa Grove, Glacier Point, Yosemite Falls, ja El Capitan.